“The relevant historical events (and their misrepresentation) and the principal Jewish characters are vehicles for attributing negative traits to Jews generally across time and space. ‘The Promise’ utilizes and reinforces racist tropes about Jews that, but for a brief post-WWII respite, have been embedded in western civilization since pre-Christian times and are not in any way comparable to negative portrayals of other groups,” the letter states. The four-part series ‘The Promise’, written and directed by British filmmaker Peter Kosminsky, tells a fictional story about Erin (played by actress Claire Foy, pictured left), an 18-year-old British girl who visits her Israeli friend Eliza, Eliza’s parents and brother Paul in Israel in 2005. Erin carries and progressively reads through the diary of her grandfather, Len, which describes Len’s experiences while serving as a sergeant in the British army in the 1940s. 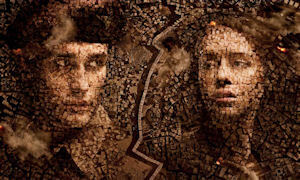 First screened in the UK in February 2011 and in France in March 2011, critics and Jewish organizations in both countries condemned the series. Jonathan Freedland of the UK newspaper ‘The Guardian’ accused Kosminsky of using anti-Semitic stereotypes. The Board of Deputies of British Jews also complained, but Ofcom, the UK’s regulatory watchdog for the TV and film industry, said the program was not in breach of any of its guidelines. Kosminsky rejected the criticism, saying that his plot was based on interviews with 80 British veterans who served in Mandatory Palestine until 1948 and who he says had become more and more anti-Jewish during their service there.